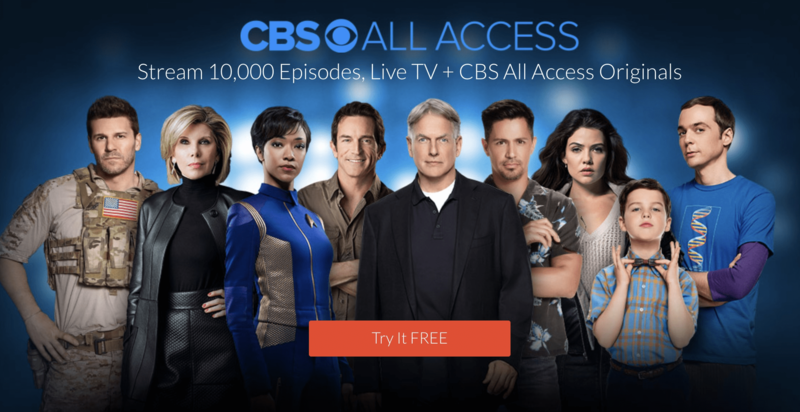 Get a WEEK of unlimited viewing free trial with CBS All Access streaming video subscription – #StarTrek Discovery is back! Get a MONTH of unlimited viewing free trial with CBS All Access streaming video subscription – Holiday deal! Get a MONTH of unlimited viewing free trial with CBS All Access streaming video subscription – Cyber Monday deal! 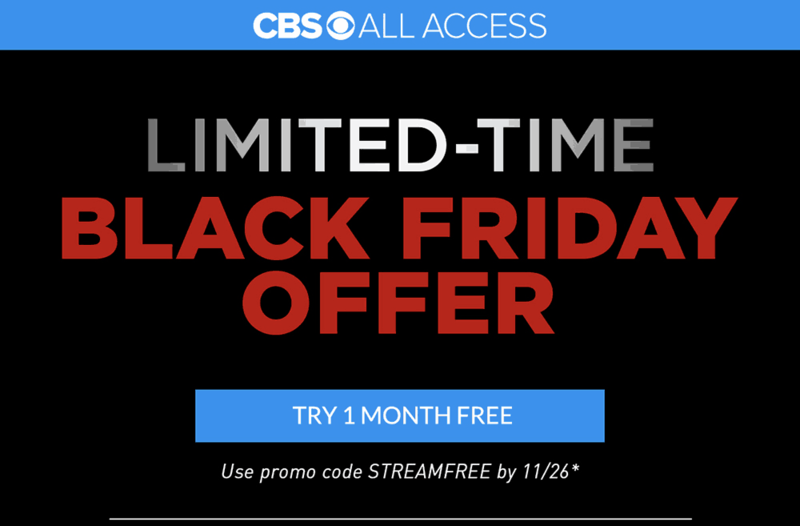 Get a MONTH of unlimited viewing free trial with CBS All Access streaming video subscription – Black Friday deal! Get a MONTH of unlimited Star Trek, The Good Fight and No Activity free with CBS All Access streaming video subscription! Get a week of unlimited Strange Angel free with CBS All Access streaming video subscription! Get a MONTH of unlimited Star Trek free with CBS All Access streaming video subscription + BRAND NEW Star Trek Discovery! Get a week of unlimited Star Trek free with CBS All Access streaming video subscription + BRAND NEW Star Trek Discovery! Get a month of unlimited Star Trek (and other CBS stuff) free with CBS All Access streaming video subscription!